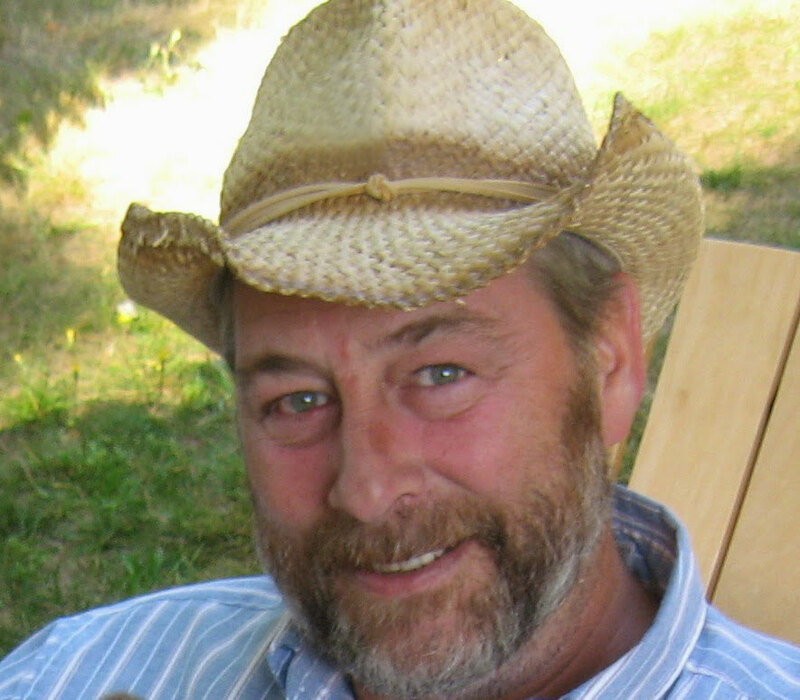 Lockard Young was one of the “early adapters” of promoting himself and his work on Reading Recommendations, and since Dec. 9, 2013, Lockie has been featured twice on the blog, here and here when he published his own books, and here as part of an anthology in which a story of mine was also included. Lockie has become a great friend over these past 18 months since we “met” online. He’s been a terrific support of both my writing and the site as well as of his fellow authors. Here’s Lockie to tell us a bit more about himself! 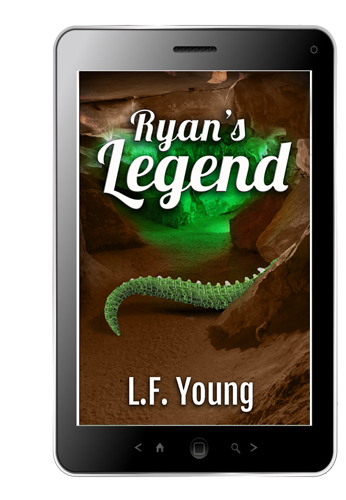 Since my last appearance on Reading Recommendations I have finished the sequel to my first book, Ryan’s Legend. 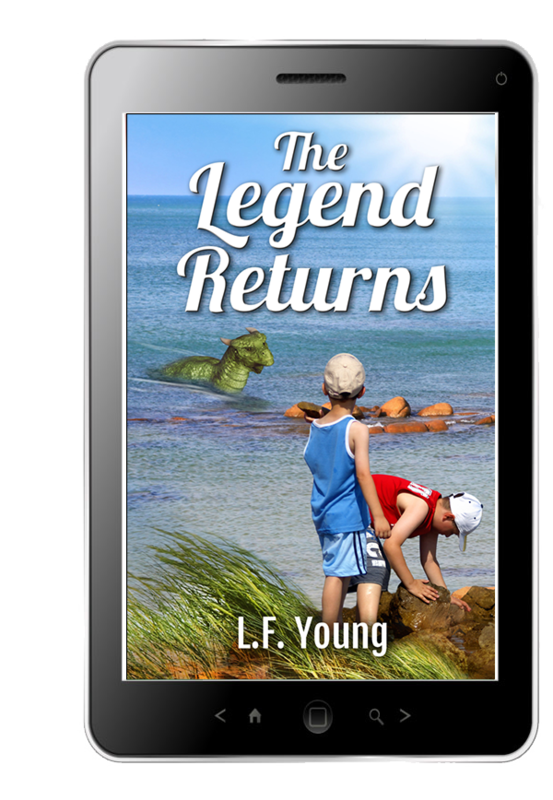 This newest called The Legend Returns, picks up a couple months after the first story ends, and continues with the main character, Ryan, struggling with trying to keep his discovery of a real dragon a secret from everyone, including his friends and his parents. The Legend Returns came out this year in the beginning of 2015. 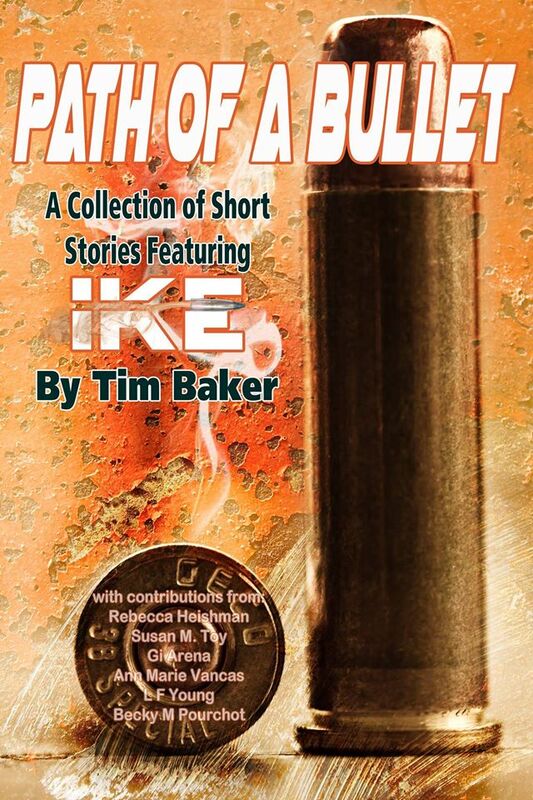 However I was also very fortunate to be picked as a guest Author for Tim Baker’s anthology, Path of a Bullet, which was released in 2014 and has one of Susan Toy’s short stories in it, too. I’ve been asked to submit again for another anthology by Mr. Baker, to be released later in 2015. I am enjoying taking some free online courses in Fiction Writing and Poetry and have started a Blog and website where I showcase some of my work. I am currently working on a continuation, but not a sequel, to the The Legend series which is currently just two books. The working title is The Legend Never Dies. This story takes place when the main character is not 10 or 12 but nearly finished university. The story opens with the brothers dealing with family death, so this is not for middle grade readers. I’m aiming for a maturity in the writing, in both style and substance, as the main character also matures. The second book was tested for a grade 4 or 5 level, so a progression from the first. I’m hoping if this book is published, it will also be viewed as a progression in both character development and of course story line. I also want the reader to check out my style of writing now, and in a different genre, perhaps YA paranormal will be the moniker of the next book. I am also compiling a humorous collection of short stories dealing with my life as a service plumber, and yes folks, I have really rescued teeth from the family throne. I’m not saying anything else, but hey! Soap and water or four thousand bucks? I also have another project I am working on which is tough to write and revisit. I want to tell my story in a memoir, how I smoked for 34 years and thought because I had perfect … well, fairly good, lungs and a strong heart, I would be safe from the big diseases and all the other goodies associated with smoking cigarettes. I want to tell the story of a once busy tradesman, now an amputee traveling a very different road, who didn’t know he could lose his leg because he smoked all his life. I think it’s important, and I think I need to tell it. I am at the stage of my rehabilitation as an amputee that I have been fitted with an artificial leg, and am finally mobile, and working on losing all the weight I gained while I was not mobile at all. I am still not able to drive a car unless it is fitted with hand controls, but as my range of motion in my good leg returns this should improve and I’ll be back to driving myself around. I have acted as a volunteer coach for Ability New Brunswick in this area for anyone who is going through similar circumstances as mine, just to reassure them there really is life after illness but it is not won easily, and they need to fight all the way. I was asked last week to talk to another person, so this meeting is being set as I type this. My medical circumstances over the past couple years has been food for my writing and has inspired several personal essays about my ordeal. Unfortunately the marketing of my books has been solely through social media. I say unfortunately because there is so much more that can be done. Of course, money and time are two very big obstacles to overcome when promoting. I am still recovering from a near-fatal blockage in my right leg, and I plan on getting out more in my hometown and do some promoting when I can. I think it’s important as an author to try and get over the shyness of self promoting your work. That is a challenge for me because I was never a type to toot my own horn, but there are so many of us out there, we need to get over that shyness and interact more with our reading public. My target audience is young first-time readers in middle grade. They don’t buy a lot of books, but Mom does, so my real target audience is the mothers (and dads, but still mostly mothers) of these boys and girls. That’s who I need to talk to in libraries and schools if I can get into the schools. Not as easy as you might think, but if that is part of your strategy for promoting your book, I suggest getting an RCMP background check, as you will need one anyway. If the book you authored is a cook book, I’d try to get a table at your local supermarket or farmers’ markets on weekends. My advice in a nutshell: get yourself set up on all the social media sites like Twitter, Facebook and Goodreads. To showcase your book or perhaps short stories or poems you’ve written, you might want to start a Website or a Blog. Aw, shucks! Thanks for that shout-out, Lockie! Thank you, Seumas. Another wonderful supporter of mine. Right back at yezzz. Thank you for reblogging, Seumas! Your turn will come soon for a revisit, too. Thank you so much Susan. It is very much appreciated to be honored on your Blog like this. Thanks for all you’ve done for me and for the blog, Lockie! Well Thanks Suzanne, I appreciate that. Gotta tell it like it is. Wow that’s some personal journey you’ve been on there too as well as writing. You’ve clearly cracked how to lie with rather than suffer from. All the best. Thank you, M T. and I got your meaning right off, and why I’m replying here. I figure, if you are going to write anyway, then nothing should escape your observation. We should be remembering that toothache…we just might need it for a story down the road. Oh for god’s sake! Bloody auto correct. Once more with the real words this time… It sounds like you’ve been on one heck of a personal journey as well as writing. You’ve clearly cracked the art of living with rather than suffering from as well. All the best to you and for your books. I took the liberty of editing your first comment, MT, but you’ve now said it a second time … with gusto!